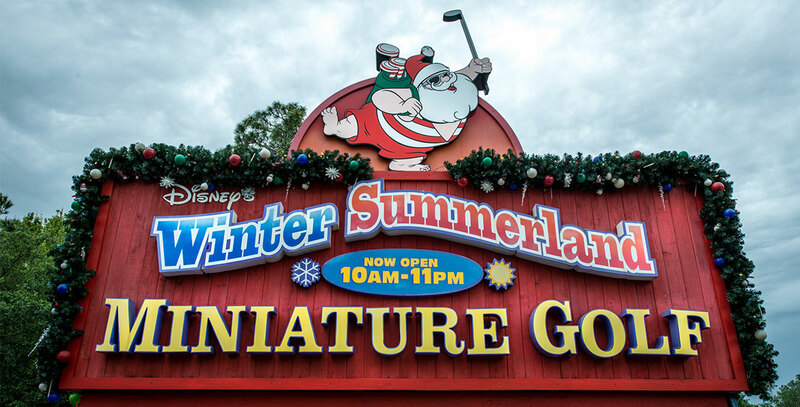 Winter Summerland Miniature Golf Two 18-hole miniature golf courses at Walt Disney World, purporting to represent a vacation destination Santa created for his off-duty elves; opened Mar. 12, 1999, after the success of Fantasia Gardens Miniature Golf three years earlier. The snow course, named Winter, reflects the snow-clad Florida look of nearby Blizzard Beach, while the sand course, named Summer, features a tropical, holiday theme.